HAUSOFCOLOR: Get Glowing Skin Now! When it comes to skincare, I have to admit that I’m a bit of an addict. I love the look of fresh, radiant, glowing skin! I’ve always believed that starting with great skin is the best canvas for your makeup. No amount of makeup can give you that fresh-face glow unless you have amazing skin to begin with! 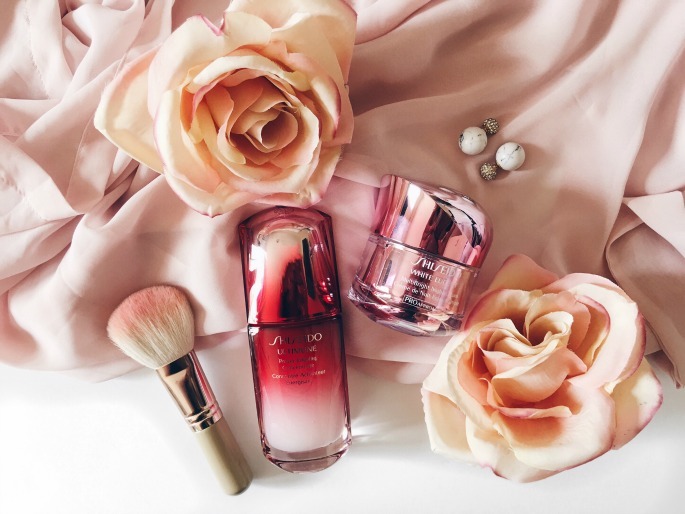 Recently, I’ve been using Shiseido’s Ultimune Power Infusing Concentrate, which is a pre-treatment —kinda like a serum for your serum! It’s anti-aging and fights against damages, you apply this before your serum or moisturizer to get the best results from your products! After applying Ultimune, I use Shiseido’s White Lucent MultiBright Night Cream all over my face, neck, and décolleté. The White Lucent line has been a favorite of mine since a decade ago when I first discovered it on my friend’s mom’s vanity. She had an impressive collection that sat very pretty on her makeup table. Since using Ultimune in combination with the MultiBright Night Cream, my skin has been more supple, radiant, and hydrated! I’ve noticed that dark spots have diminished and my skin’s texture has improved and become smoother! Leave me a comment and let me know what are some of your holy grail skincare products for glowing skin! *They are made with every single normal fixing Ingredients that originate from every characteristic source are acknowledged a lot less demanding angelina jolie skincare by the skin since they are so like your current oils. Acne cream treatments don't work out equivalent for Meryl Streep Wrinkles everybody except is efficiently showing impacts for delicate to serious acne/pimples. We should perceive what your acne cream treatment options are.